This weeks featured coral of the week comes to us from World Wide Corals. Known in the trade as the Jason Fox Jack-O-Lantern Leptoseris, this beautiful coral is one you should consider placing in your aquariums pumpkin patch. Originally obtained several years ago by Jason Fox, World Wide Corals is displaying this specimen under their website’s LPS section. It’s not uncommon for this coral to be classified as an SPS (small polyp stony) or an LPS (large polyp stony) but in actuality it really doesn’t make a difference as to whether it’s an LPS or a SPS. The acronym LPS and SPS are simply non-scientific terms made up by the reefing community. We haven’t had a chance to check in with Jason to see when he 1st picked up this coral but with a little investigating online it appears that the Jack-O-Lantern Lepto originally sold for about $500.00 per frag over 6 years ago. 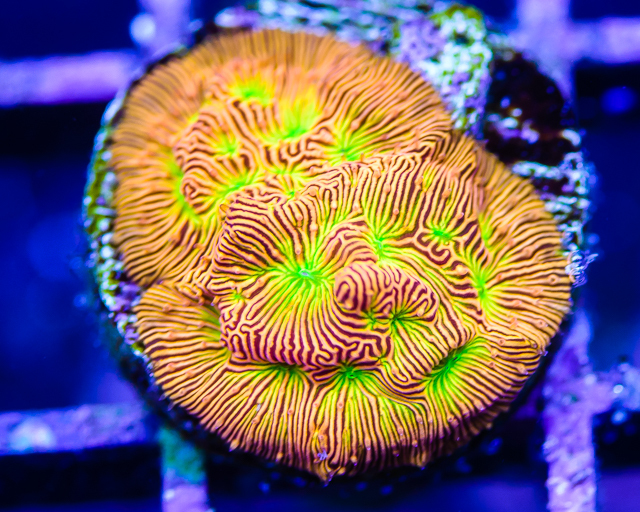 As this coral has been purchased, fragged and traded across the US for the past several years, the price of this beauty has dropped considerably. 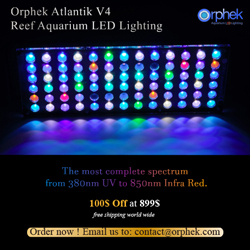 World Wide Corals currently has the above coral listed for a reasonable price of $89.00. The Jack-O-Lantern Leptoseris prefers lower lighting and low to moderate flow rates, similar to what many chalice corals prefer. In the right conditions, the Jack-O-Lantern is very fast grower and it tolerates fragging with a frag saw quite well. We recommend keeping other species far enough away from this coral as it’s been know to have long sweeper tentacles that extend as they would on the reef for nocturnal feeding.